Getting into these shows isn't quite as easy as one might think. Plus, the majority of people who do attend aren't coming for Thomas the Tank Engine. Even in train shows, in particular the TCA bi-annual meet in York, Pennsylvania, the majority of train enthusiasts are adults who aren't into Thomas. I am a regular attender of that show and ones similar, and I am generally the youngest person there - going on 24 - who came on his own free will and am very active in the Thomas community. There used to be a fair amount of Thomas community members from this forum that went to these shows, I remember we had a high quality look at Duck way before he was released. I went to the Springfield, "Big E" train show this year and it normally is the one time I get to see the major train companies like Bachmann and Lionel in person. Bachmann had models of Oliver and the slate cars there but no Rheneas or Rosie. ( was kinda disappointed they were not there). But I will agree it seems that there isn't a major focus on Thomas in my local area show, besides me. This always annoys me because I see lots of other kids younger than me that are wearing or carrying Thomas brand items. You would think there might be more of a connection. Well since April is almost over does anyone have any additional close to accurate info on a possible release date since we still do not even have any good photos yet? I think one supplier now says July. Another shop I looked up online also has Rheneas down for July release, and Rosie for June. Absolutely love the model of Rheneas, or at least the better angle of him. It's obvious Bachmann put a lot of time and effort into the model just like Skarloey and it will in no doubt be a massively popular seller. Hoping it comes out by this summer. Also, now that the slate wagons are finally out, we can watch the narrow gauge line continue to grow from there. Fingers crossed that we also see this same quality in Rusty. I obviously couldn't wait to see Rheneas better, but I'm definitely more excited to see how Rusty turns out compared to Rheneas, and that's due to the fact that the Skarloey model is essentially Talyllyn in Skarloey's livery, so we pretty much knew Rheneas would follow the same path (Dolgoch in Rheneas' Livery). 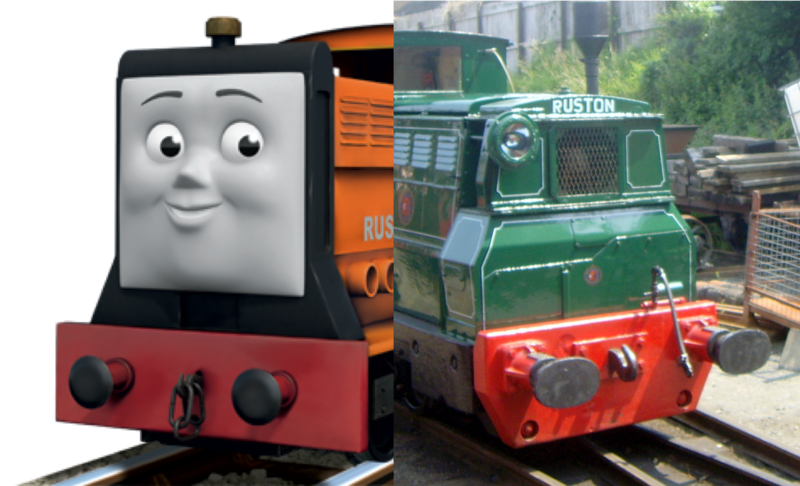 But the reason why I'm more excited to see Rusty is because I can't wait to see what they go for with Rusty, as in will he completely look like CGI Rusty, with the poorly rendered front (Misshapen is the best way to describe it) and different shaped bufferbeam? Or will they throw away the whole 'Basis in the character's livery' thing they've been doing this far in favour to make the character appear how they are in the show? Personally I hope they go for a Midlander shape for Rusty, because at least then his face won't be so ridiculously large. I also just realized as I was typing this that they forgot to give Rheneas a headlamp. Pity too, as we saw with Oliver they sure can make a good one. I think we'll see Rusty based off his CGI render. 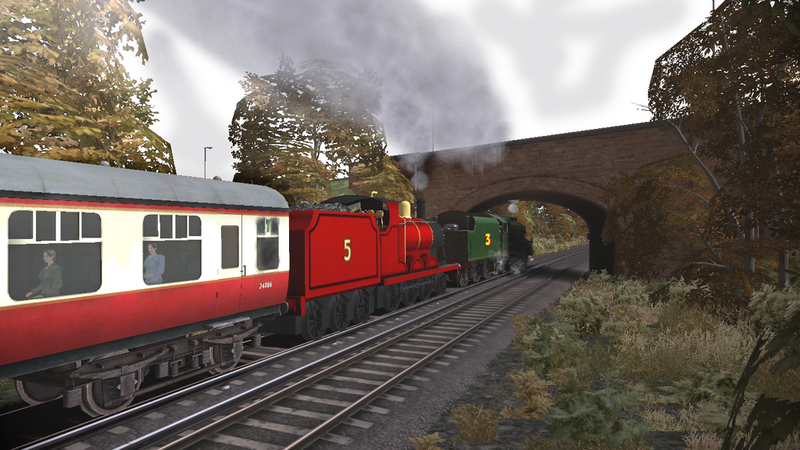 The NG Engines are captured after their CGI counterparts with the Talyllyn Railway rivet patterns. I wouldn't mind and personally based off his TV counterpart. Duncan, however is very debatable, but that's another story for another time. On the side note, I would like to see how Bachmann would pull off Peter Sam, considering the detailing on his CGI render as well his Giesl Funnel. I think Peter Sam has the best CGI render out of the NG characters, IMO. You need to look at Skarloey and Rheneas in full detail. Every single rivet that Talyllyn has is present on the Bachmann Skarloey model, while in the show, he only has a few going up his bunker. Then there's the case of the number plate on the back of the cab, which Skarloey only had once or twice in the books, never in the show, but Talyllyn has. There's also the black bar at the end of the slide bars: Skarloey's goes straight up, while Talyllyn has it go up, inward, and then up again to line up with the saddle tank. As you could guess at this point, guess which one Bachmann went with. Yep, They went with Talyllyn's design over Skarloeys. Then skipping to Bachmann's model of Rheneas, you can see the extra riveting detail along the splasher, which Dolgoch has, and Rheneas does not. Then there's the boiler supports as well, Dolgoch has them, Rheneas does not, and the Bachmann model has them. Finally, Bachmann Rheneas has rivets going all around the bottom half of the cab, Rheneas in the show, does not have those, but Dolgoch does. As I said, the Bachmann Thomas Narrow Gauge range is based more so on the real engines, with the character's liveries (And face of course), which is why I'm very curious to what they're going to do with Rusty, him being so 'off' compared to Midlander. But those are small details- this would be a complete overhaul. I don't think you can compare them. It is completely safe to think of this idea, because it's what Bachmann has done for the entire range so far. That's why I'm extremely curious to see what they do.